How Jews use media to connect with one another has profound consequences for Jewish identity, community, and culture. This volume explores how the use of media can both create communities and divide them because of how different media shape actions and project anxieties, conflicts, and emotions. 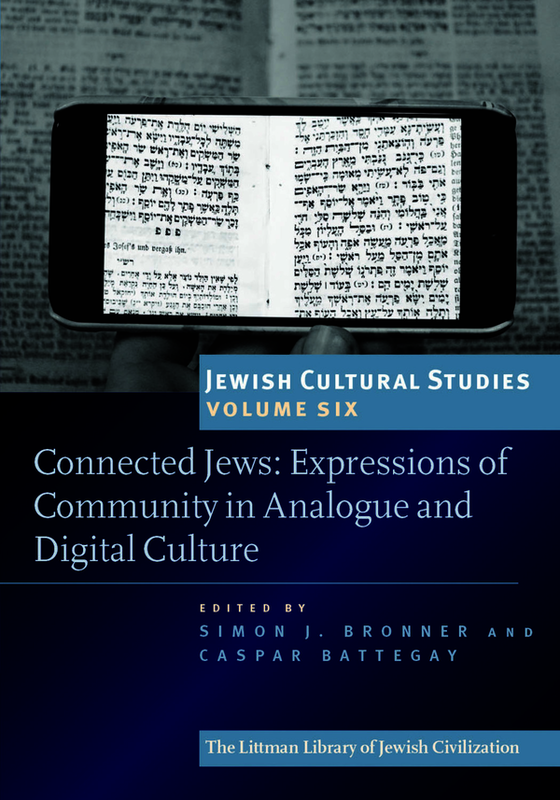 Taken together, the essays presented here consider how Jewish use of media at home and in the street, as well as in the synagogue and in school, affects the individual’s sense of ethnic and religious affiliation. They include closely observed case studies, in various national contexts, of the role of popular film, television, records, the Internet, and smartphones, as well as the role of print media, now and historically. They raise fascinating questions about how Jews and Jewish institutions harness, tolerate, or resist media to create their sense of social belonging as Jews within the wider society. Simon J. Bronner is Distinguished Professor of American Studies and Folklore and Founding Director of the Center for Holocaust and Jewish Studies at the Pennsylvania State University, Harrisburg. He is also the convener of the Jewish Folklore and Ethnology Section of the American Folklore Society. His books include Folklore: The Basics (2017) and Explaining Traditions: Folk Behavior in Modern Culture (2011). Caspar Battegay is a lecturer at the University of Basel, Switzerland, and a member of the Young Academy of the Berlin-Brandenburg Academy of Sciences.